The Pensacola personal injury lawyers at Gilman Law LLP have more than 40 years of experience representing the victims of truck and bus accidents, nursing home abuse, medical malpractice, workplace accidents and wrongful death. We understand that after an accident or injury, there are immediate issues of medical bills, lost wages, and property damage that need to be properly addressed. This understanding is what motivates our highly experienced and qualified Pensacola accident attorneys to strive to achieve the best financial results for our clients. Gilman Law’s Pensacola personal injury lawyers want to make this difficult time easier on you and our family. Our team relies on only the finest medical professionals and experts available because we understand what it takes to efficiently and properly litigate a personal injury lawsuit. Our extensive experience pursuing personal injury cases in Pensacola will work to your advantage, and ensure that you receive the maximum compensation allowed under the law. If you or a loved one has been injured in Pensacola, Florida, Gilman Law has staff on hand to answer your questions 24 hour a day. We’ll litigate your case in a timely manner, so you won’t have to worry about the strict statutes of limitations that apply to most Florida personal injury claims. With the high level of personal communication and commitment our lawyers bring to every case, you can rest assured that you are choosing the right Pensacola personal injury attorney for your claim. 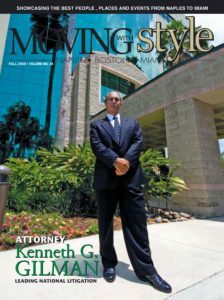 If you have been injured and and are looking for legal help, please contact us at (888) 252-0084 or email us for a free consultation. 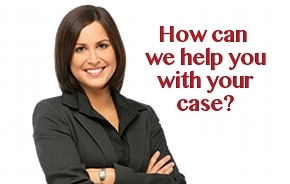 We will get you the financial compensation to which you are entitled.